Properties in Bunnell average 4.7 out of 5 stars. Property 7: Beautiful Beach Home with Garage WALK TO THE BEACH! Sun-Kissed Cottage by the Sea - Enjoy the Charm of Beach Living! Property 9: Sun-Kissed Cottage by the Sea - Enjoy the Charm of Beach Living! Ormond Beach/Daytona Beachfront, 1st floor. Ask about Jan - March 2020 pricing. Property 19: Ormond Beach/Daytona Beachfront, 1st floor. Ask about Jan - March 2020 pricing. Property 22: Single Family Heated Pool Home! Property 30: Spectacular Penthouse Level Condo in Cinnamon Beach !! Unit 1161 !! Beach Side Private Home - Walk to Beach! Property 36: Beach Side Private Home - Walk to Beach! 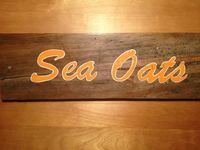 Sea Oats Studio -downtown And Steps To The Beach! Property 38: Sea Oats Studio -downtown And Steps To The Beach! Relax in the Sun at Flagler Beach! Book now and save. Property 42: Relax in the Sun at Flagler Beach! Book now and save. Palm Coast Home w/ Private Pool Near Golf Course! Property 46: Palm Coast Home w/ Private Pool Near Golf Course! Amazing 2BR/2Bath Ormond Beach Condo with fabulous views! Property 48: Amazing 2BR/2Bath Ormond Beach Condo with fabulous views! Perfect location, just 300 yds from the beach. Everything provided & bring Fido! Property 50: Perfect location, just 300 yds from the beach. Everything provided & bring Fido! Sea Oats is a cozy studio apartment perfect for 2 people. It is well appointed and has a private quiet area to sit out and enjoy coffee in the morning or a drink at night. We could walk across the street to the beach and walk to restaurants at the end of the day. We were there at the beginning of turtle season and watched as one was released to the ocean. Locals said you could begin to see the new turtles hatching. It was a wonderfully relaxing time at Flagler and a beach we would love to return to. Everything we needed for a two month stay! Owners very helpful and quick to respond! Location is outstanding and much to do within an hour&rsquo;s drive. Wonderful restaurants very close. The view and sunrises were absolutely amazing and beautiful. Furniture comfortable and beds great! Loved our stay and will come back again❤️ This was our 2nd time staying at Danielle&rsquo;s wonderful condo. Hope to return for many winters to come.